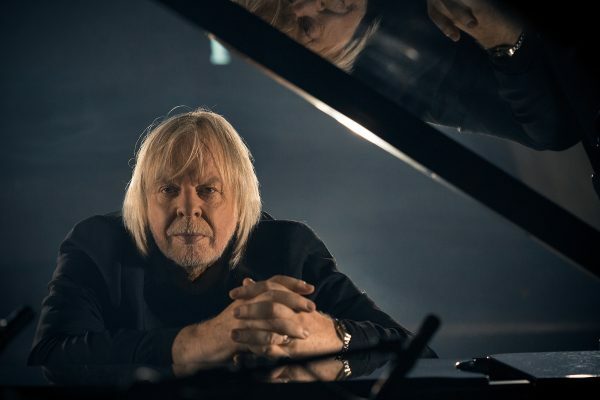 Rick Wakeman’s unique piano show can best be described as a sort of musical journey through much of Rick’s life and will include music taken from the last fifty years of his musical existence . The music is intertwined with ludicrous anecdotes, taken from Rick’s rather colourful life as a composer, performer, author and raconteur., (He admits that some are somewhat embellished but in the same breath says that many have had to be severly watered down) !! There will be a licensed bar or bars for this event (no spirits or shots) under the auspices of a TEN licence from Bromley Council. Refreshments may be purchased before and during the performance and during the interval. The usual alcohol licensing law applies including as to age and serving etc. We reserve the right to refuse to sell, serve or otherwise supply alcohol to any person for whatever reason and more specifically we reserve the right to request satisfactory proof of age before selling, serving or supplying alcohol to any person. Bring alcohol into the buildings. Consume alcohol on the premises unless it has been purchased from our bar(s). Consume alcohol outside the buildings. Buy alcohol from the bars for consumption off the premises or to remove it from the premises. After studying piano privately for 12 years, Rick gained a scholarship to the Royal College of Music where he studied piano, clarinet and orchestration. In March 2012 Prince Charles presented him with his Fellowship of the RCM. He was also made a Professor at the London College of Music. As a much sought after session musician in the late sixties and early seventies , he played on more than 2000 records including such hits as Cat Steven’s Morning Has Broken, David Bowie’s Space Oddity and Life on Mars and worked with a real eclectic mixture of other notable artistes such as Donovan, Cilla Black, Marc Bolan, Black Sabbath, Lou Reed, Mary Hopkin, Dana, Al Stewart , Elton John and John Williams. In March 1970 he joined Strawbs and his first album with them , “Just a Collection of Antiques and Curios” , paved the way for “Folk-Rock” and reviews from their concert at The Queen Elizabeth Hall on July 11thof that year , did much to take Rick’s career to a new level. He joined YES in August of 1971 and has been in and out of that band on quite a few occasions ! (One journalist likened the relationship to that of Richard Burton and Elizabeth Taylor , in as much as they can’t live with each other but in the same breath , can’t live without each other ! Rick told the journalist he didn’t disagree as long as it was accepted that he was “Richard Burton”) ! Both as a solo artist and with YES he has sold more than 50,000,000 albums, although he says that only past management would be able to tell you where the royalties went! He has written 2 film scores for Ken Russell , (Lisztomania and Crimes of Passion), 2 scores for Harry Palmer films starring Michael Caine, (Bullet to Beijing and Midnight in St. Petersburg), and the award winning White Rock as well as Gole, Hero, A Day After The Fair and 2 horror films, Creepshow 2 and The Burning. He has also carved out quite a television career appearing on every single programme of the Grumpy Old Men series , just under 100 appearances on Countdown plus numerous invites onto Never Mind The Buzzcocks, Have I got News For You and is now in his 6thyear as a regular presenter on Watchdog. On Radio 4 he can be regularly heard on The News Quiz, Just a Minute and It’s Your Round. He has two current books available …Grumpy Old Rockstar and Further Adventures of a Grumpy Old Rockstar, both of which made the best sellers list. The third in the series is due for release in 2014. He still finds time each year to perform concerts around the world which can range from his extremely popular one man show to extravaganzas with symphony orchestras and choirs . In 2014 he performed his highly acclaimed Journey to the Centre of the Earth with a symphony orchestra , choir and band to more than 30,000 in the UK and this show will continue to be performed for the ensuing years around the world. In the last two years he has had two top 10 albums, Piano Portraits and Piano Odyssey and is recording a new piano album especially for Xmas. Life is rarely dull for Rick or those around him !